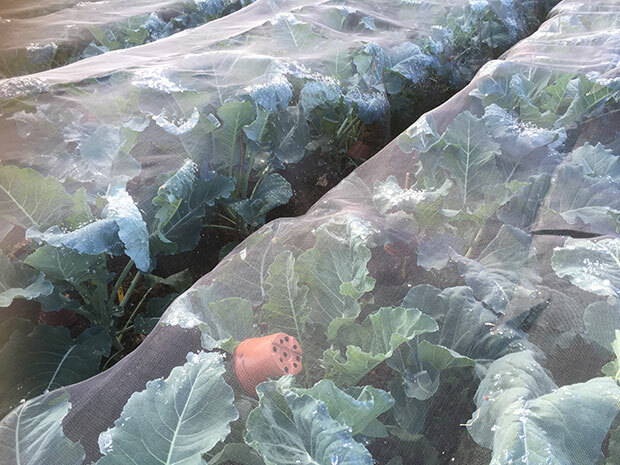 Perennial Nine Star Broccoli Field Trial ‘Project Nine Star’ is underway. 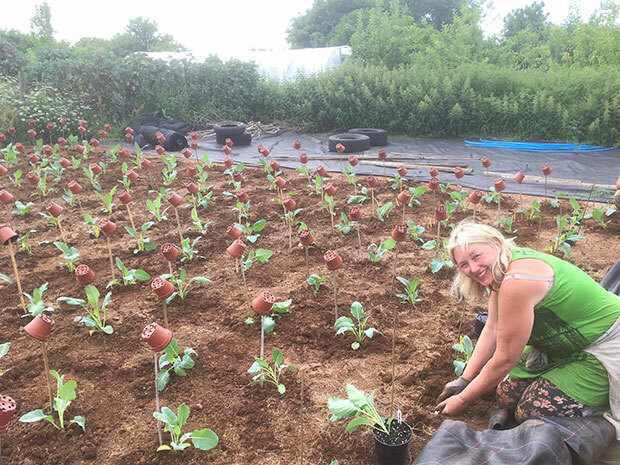 After raising hundreds of plants from 11 accessions of Nine Star seed including kind donations from Warwick University gene bank, Brown Envelope seeds and other generous individuals, the plants finally made it into the ground at the beginning of June. This is our first venture into small scale plant breeding, both exciting and daunting! and we may need our hands held along the way by friends and colleagues with more experience. 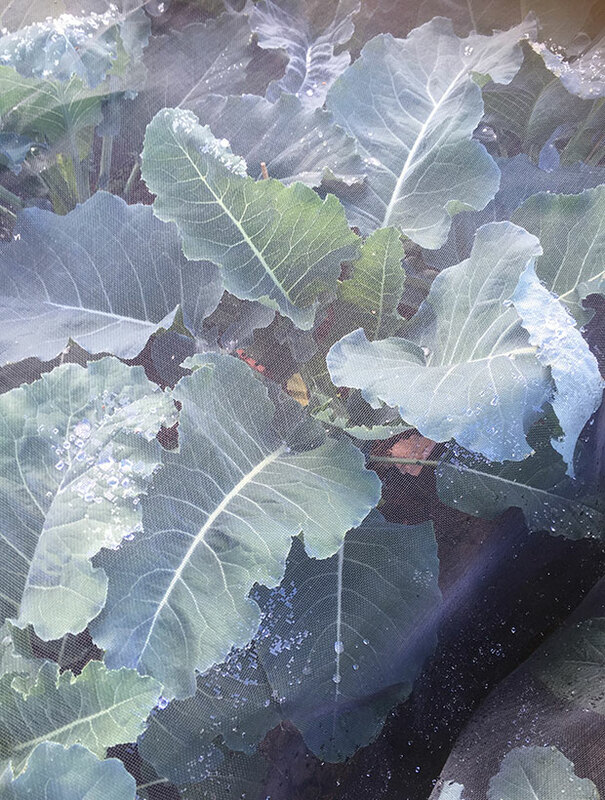 Perennial Nine Star broccoli has special significance for us as many years ago it was the first vegetable plant that got us interested in perennial growing. 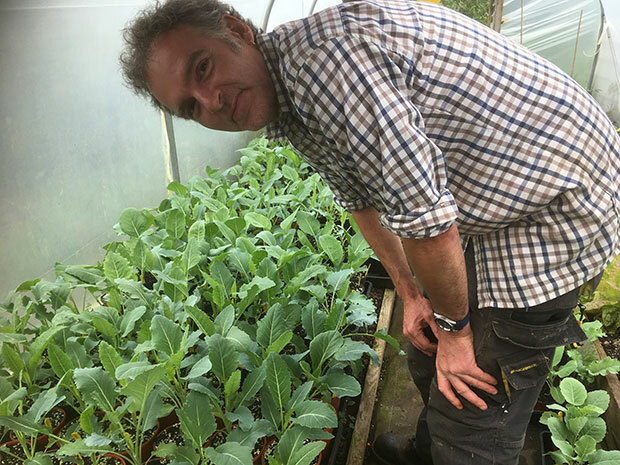 Over the last decade the number of growers and companies supplying the seed has dwindled to a handful and the perennial nature of the plants can vary enormously. That’s why we feel passionate about contributing in a small way to improving the variety and stage one is to do a mass cross of all the 11 accessions which have been planted in a block of 15 x 15 rows. An accurate planting map has been produced so we can track each plant and observe its growth and habits. 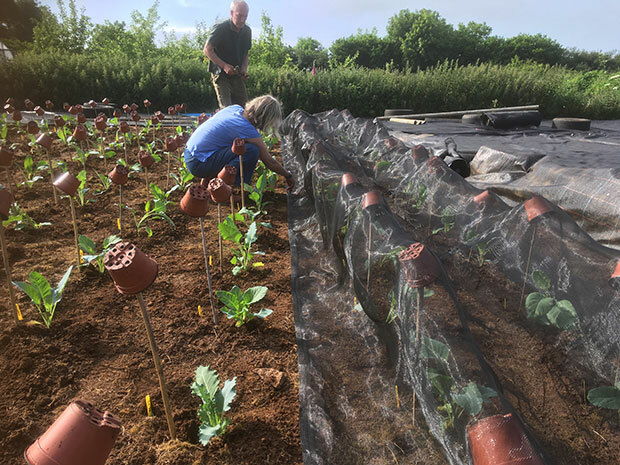 After watering the small plants when they were transplanted out on 8th June, they have rapidly grown into strong specimens even though they have not been watered since and have barely had a drop of rain. Crimson clover was sown between the rows and the plants have been protected with enviromesh for the summer and will be uncovered in September. 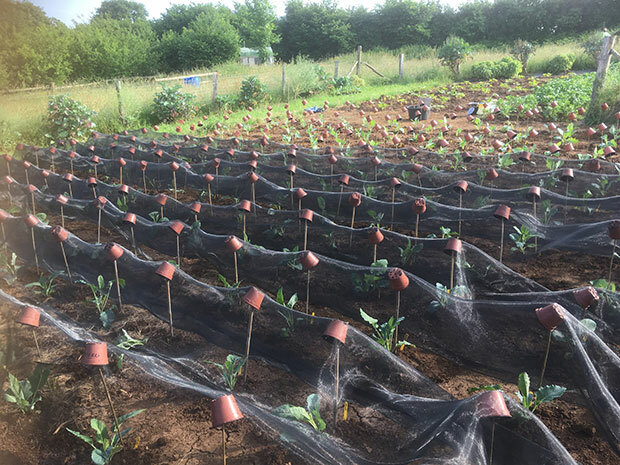 The pics show the small plants being transplanted out in the field and some shots at the end of July with burgeoning growth. We just need to get them through the winter on our exposed site and wait for flowering in the spring. Of course, they may not all flower at the same time. We’ll be watching closely…more updates as the project progresses.